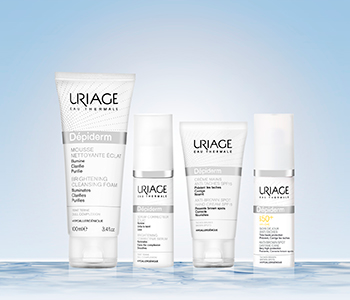 Create a more uniform complexion with the Uriage Depiderm skincare range, a routine tailored to suit the very specific needs of hyperpigmented skin. Formulated to diffuse the appearance of brown spots, age spots and discolouration, Uriage’s Depiderm routine acts both as a curative and a preventative for those prone to pigmentation. Suitable for even sensitive skin, day after day Depiderm keeps skin looking even and healthy with a newfound glow.